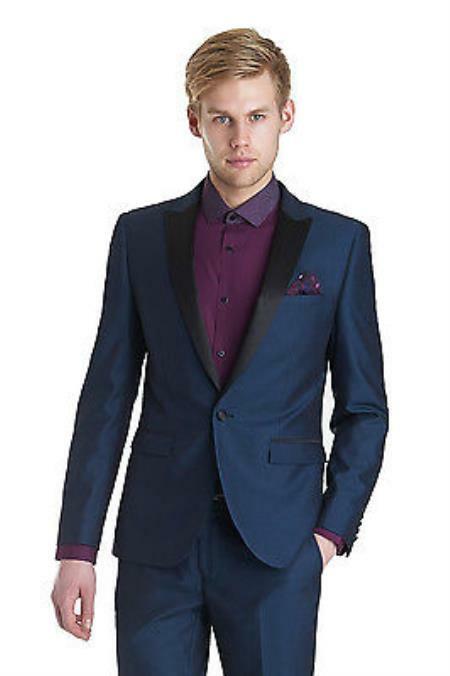 The styles and themes for grooms vary constantly with the change of trends and fashions. Whether you are conservative or a keen follower of the latest fashion, your wedding attire should reflect your own unique style turning to be stunning and vibrant in grabbing everybody's attention towards you. People generally do think it is difficult to choose bride's wedding attire than groom, but actually it is not so when comes especially for wedding. Plenty of grooms wedding suits collections are available for all budgets but choosing out the one that fits your shape and physical style presents the big challenge. Many suits find their space in being special to wedding ceremonies where lighter suits with less traditional colors are the most opted choice by the close followers of fashion. White and cream colored wedding suits are seemed to be ideal for summer weddings. The style of groom's wedding suits vary depend on the style of wedding, where suits match perfect for day time wedding tuxedos find to be best for evening celebrations. There exists a myth that only tall grooms will look debonair on wearing suits. But it is not so, wearing suits that match your physique will actually bring an elegant look irrespective of the appearance. The suit with lower-buttoning jacket will suit best for broader men whereas single-breasted jackets fit well for shorter grooms. These new stylish wedding attires does not actually intend in breaking up the custom principles but just adds little flavor to the modern requirements. 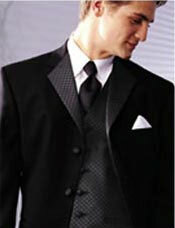 Pick your wedding suits with no restrictions and limitations and enthrall your wedding ceremony as ever memorable one.